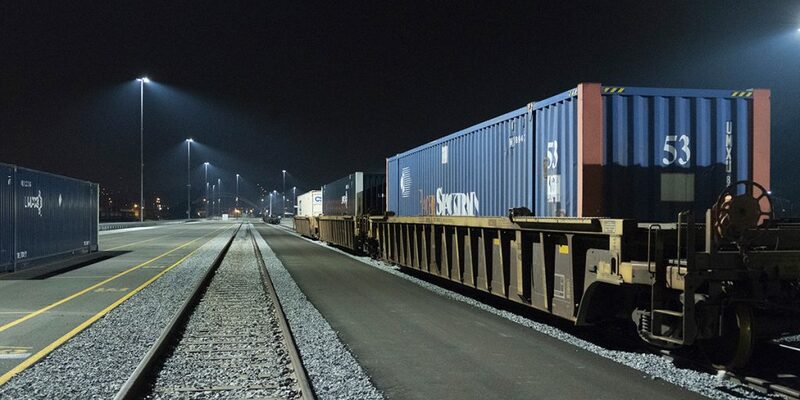 As part of a $60 million investment to redevelop the site of the former Pittsburgh & Lake Erie Rail Yard, CSX needed a lighting system for the Pittsburgh Intermodal Rail Terminal that would build on its commitment to safety and to maintaining the environment. 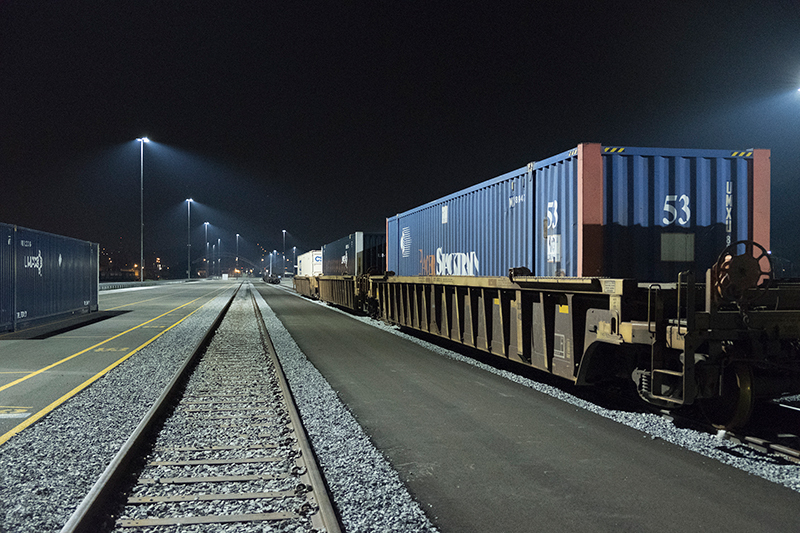 Having worked with Musco on several other facilities, including Louisville Intermodal Terminal and Worcester Intermodal Terminal, CSX once again partnered with Musco. 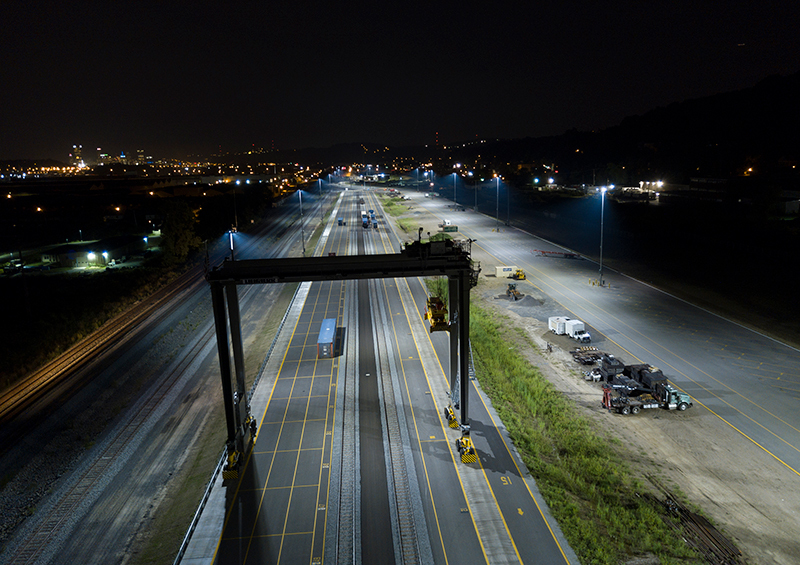 Leaders at CSX chose Musco’s Light-Structure System™ with Total Light Control—TLC for LED™ technology for lighting the 70-acre facility. Efficiency – Reduces energy consumption by 53 percent compared to typical metal halide equipment. Visibility – Provides light where it is needed without producing glare for workers. Installation Savings – Cuts installation time and costs with a precast concrete base, compared to typical anchor-bolt foundations. 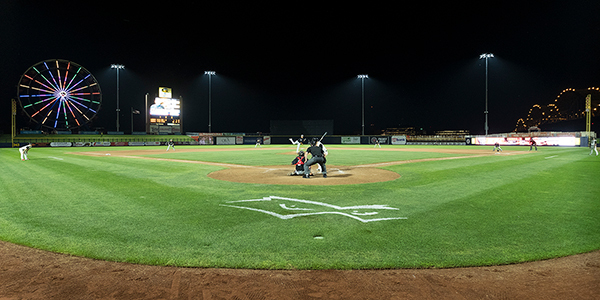 Light Control – Eliminates off-site spill light and glare with custom optics built around the LED light source. No Touch Warranty – Removes maintenance costs and headaches with a 10-year parts and labor warranty. 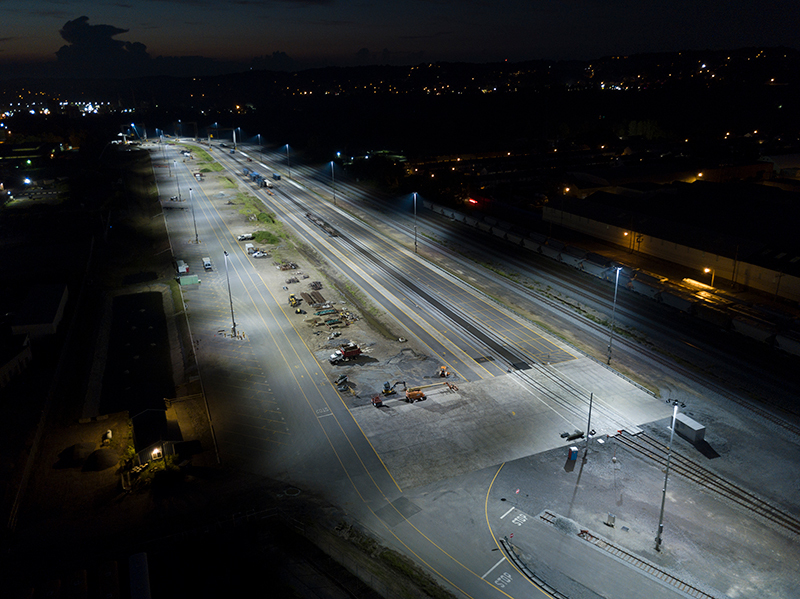 Over the next decade, the new lighting system will reduce operating costs by more than $411,000.